At CasinoJEFE the welcome package kicks off with a free spins no deposit bonus to get you started. Then when you choose to make a deposit you can claim either more free spins or a deposits match bonus. 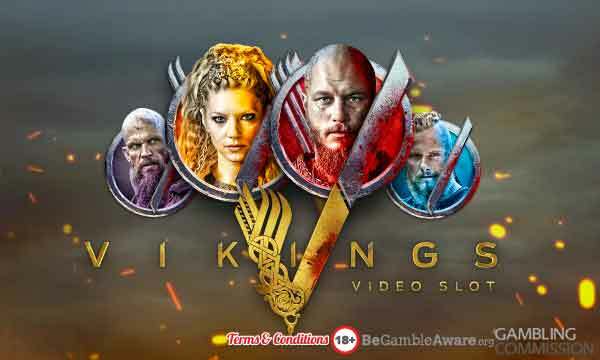 Register today at CasinoJEFE and you will be awarded 11 no deposit free spins to play on Spinata Grande. All the free spins in the CasinoJEFE Bonus do not have any wagering requirements so you can keep what you win! If you choose the Free Spins CasinoJEFE Bonus then you’re in for a real treat. You will be awarded free spins with no wagering on each of your first 3 deposits. 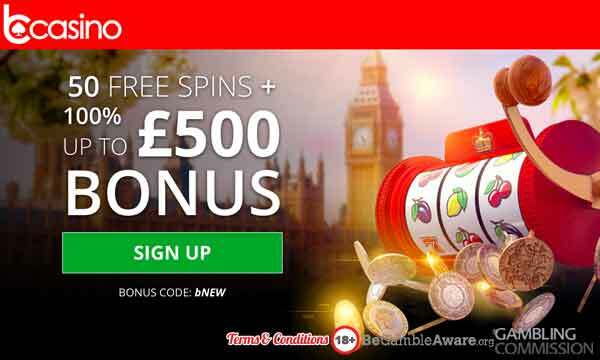 The larger your deposit, the more free spins you can claim. Remember all free spins at CasinoJEFE have zero wagering. The image above displays the free spins bonus packages. 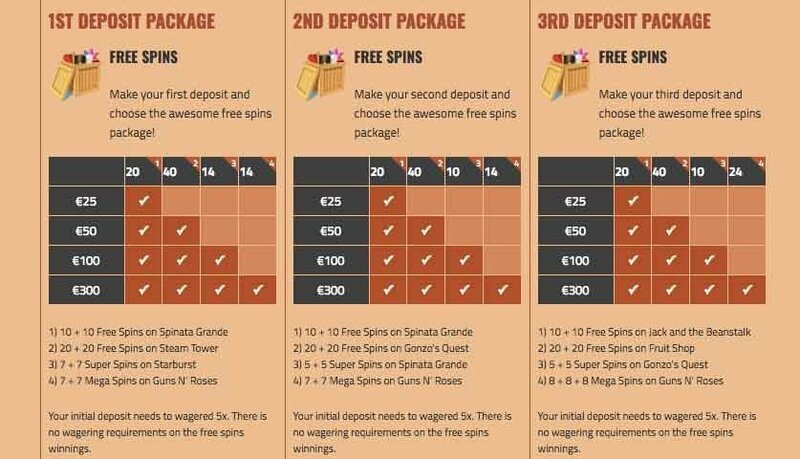 The number of free spins are displayed as (for example) 10 + 10… this is because 10 free spins will be awarded on day 1, then another 10 on day 2, making a total of 20 Free Spins. There are no wagering requirements attached to any free spins, super spins or mega spins at CasinoJEFE. So whatever you win will be added to your real money balance and is yours to keep! 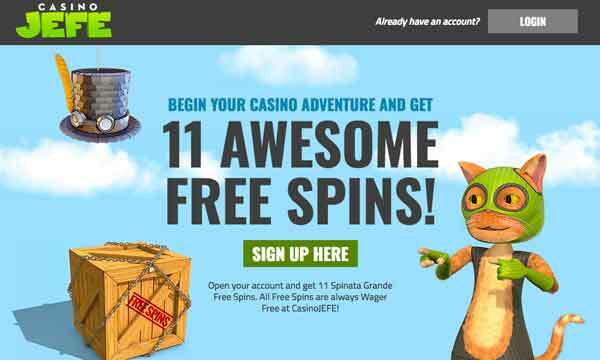 There is no deposit required to claim the 11 free spins on registration. Minimum deposit to claim the free spins bonus or the deposit match bonus is €25. If you choose the deposit match bonus package there is a wagering requirement of 50x bonus amount before these bonus funds are transferred into your real money account. As soon as you start playing at CasinoJEFE your bounty meter will be started. As you continue your casino adventure you will be awarded instant free spins and super spins bonuses. The more you play, the better the rewards. Pure slots players will love CasinoJEFE! There are some awesome slots available from the the best and most recognised games producers in the world. It is a dedicated slots site that is sure to impress. The welcome bonus will also be very appealing to new customers. There are 11 no deposit free spins with no wagering requirements to get you started. This, I’m sure you’ll agree, is a very generous freebie! Plus the full CasinoJEFE Bonus is also very attractive. 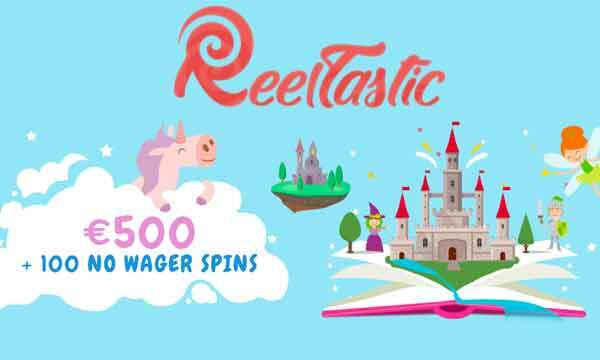 You can claim up to 277 no wager free spins. The feel if this site also warm and fun. When you land on the homepage, you’ll see JEFE the cat who is wearing a balaclava. Sounds weird but it works. CasinoJEFE is regulated by the MGA and has 24hr support available to its customers. 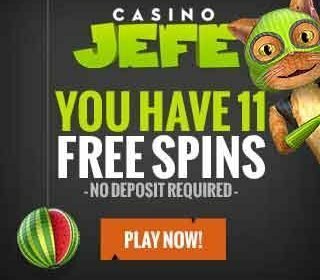 Get 11 no deposit free spins with no wagering when you join CasinoJEFE today.